Aigital hands-free Bluetooth car kit with auto power on function. Bluetooth car speakerphone with car charger. stream music and GPS directions. Easy to set up and use, stay focused on road ahead while enjoying hands-free calls, connect two phones simultaneously. *With a build-in Motion Sensor it will AUTO POWER ON when car door opened. *Compatible with All Bluetooth enabled devices. Bluetooth V4.1+EDR, capable of pairing with 2 mobile phones simultaneously within a distance of 10 meters. 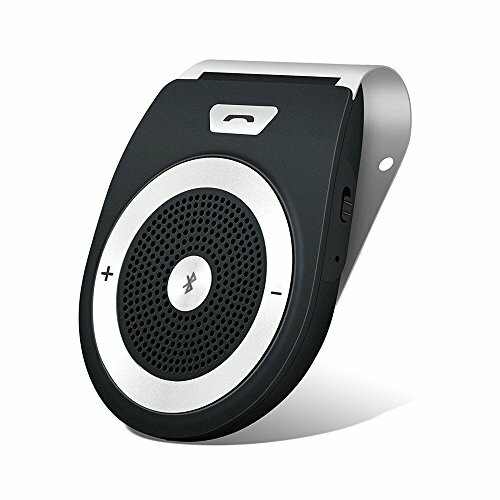 Work with 99.9% bluetooth-enabled devices,including iPhone, Android smartphones, tablets, iPad, laptop or MP3 players, etc.